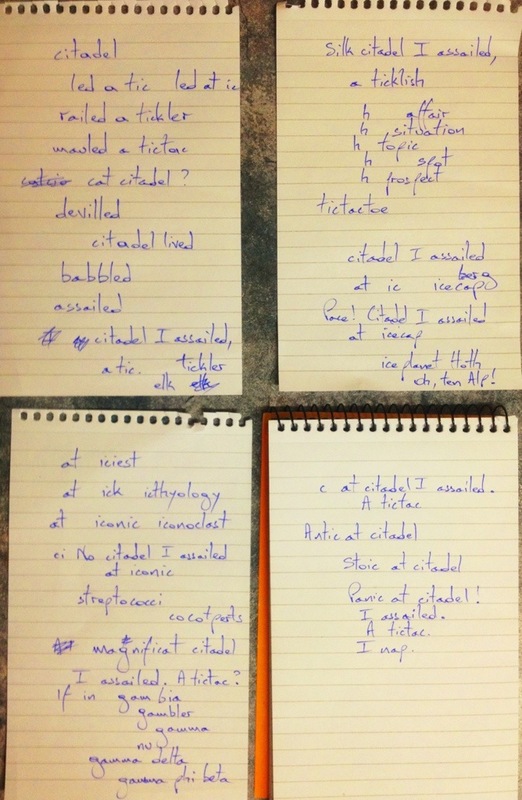 @spikelynch has written (gracefully, as usual) of his palindrome creation process on artwiculate. I’ll try to explain mine, as per @attentive‘s request – not because my approach is any better (or much different), but because I had a different experience with a different word. 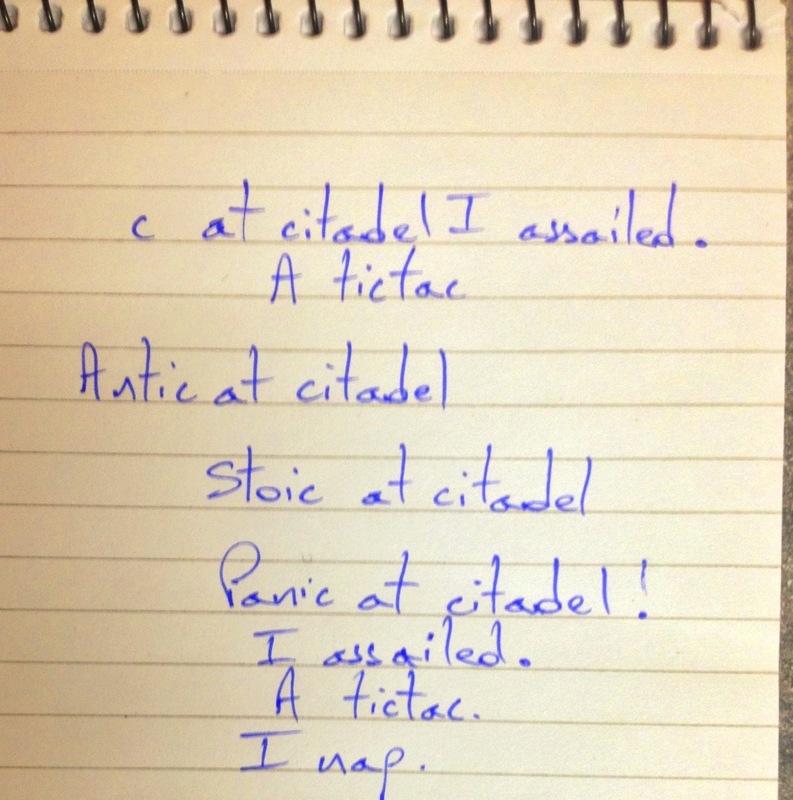 I love “tictac” because I’ve never seen it in a palindrome, and it seems anachronistic next to “citadel”. That makes me smile, but I don’t know what to do with “cat citadel”. There are other possibilities here, but I don’t see them until later. with the palindrome hinging on the letter “s”, is considered superior. Bearing that in mind, I start looking for words ending in “led” that might provide a good hinge. Look at that hinge! 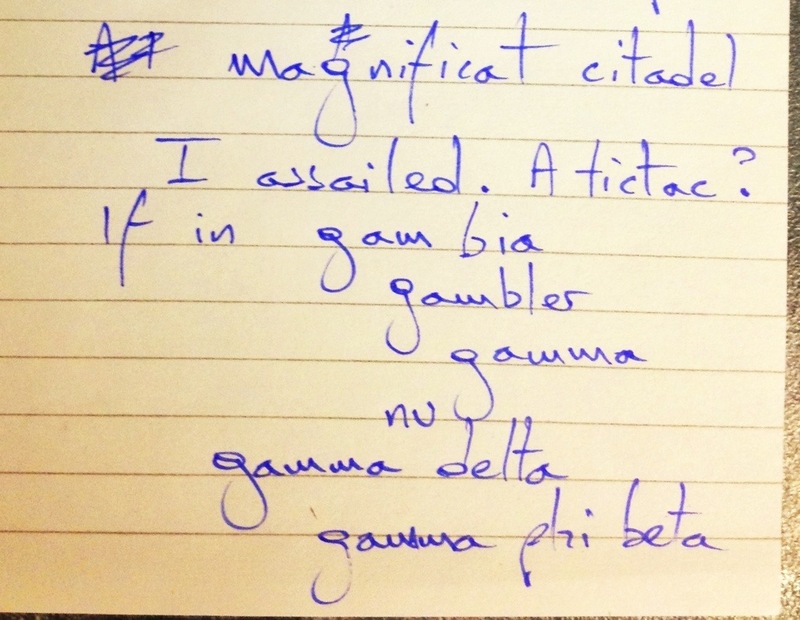 And now I’m interested, because a citadel is something you can actually assail, and the word is nicely archaic too. If I use the word “tic”, as in nervous tic, I can stop here. “Tickler” is nice (oh, how I wish I could have worked “elk” and “tickler” in there somehow). 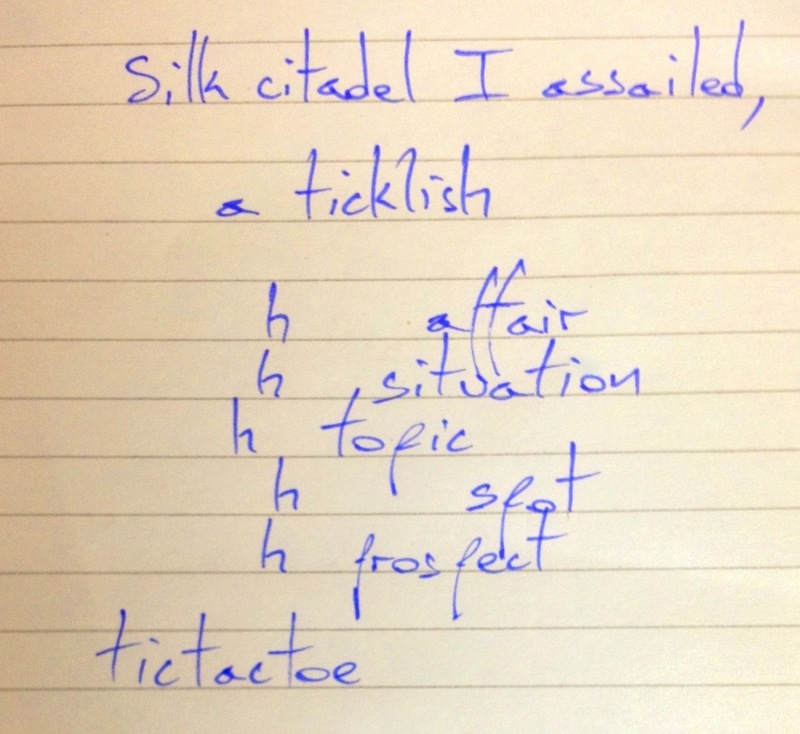 “Ticklish” is good, too, although I have no idea what a silk citadel might on the way back. Undaunted, I carry on in this vein, trying a ticklish spot, a ticklish prospect, and so on. 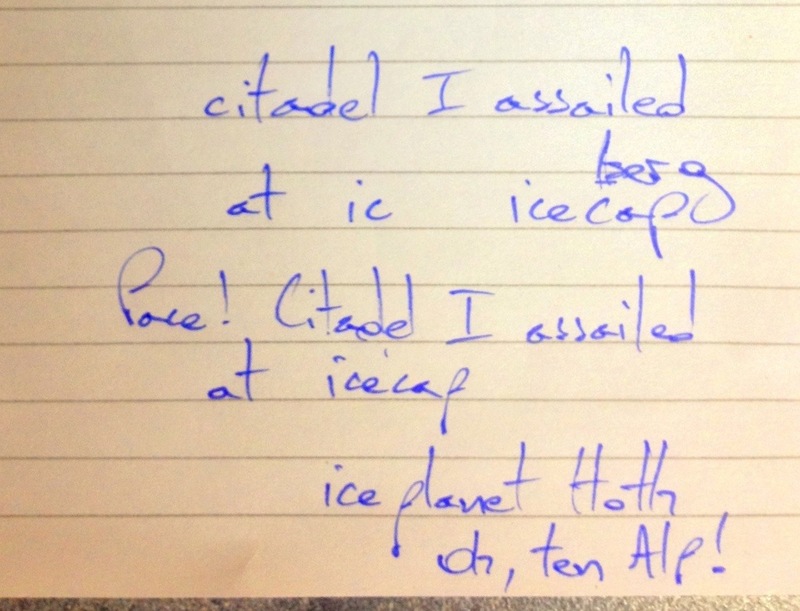 Pace, citadel I assailed at icecap. 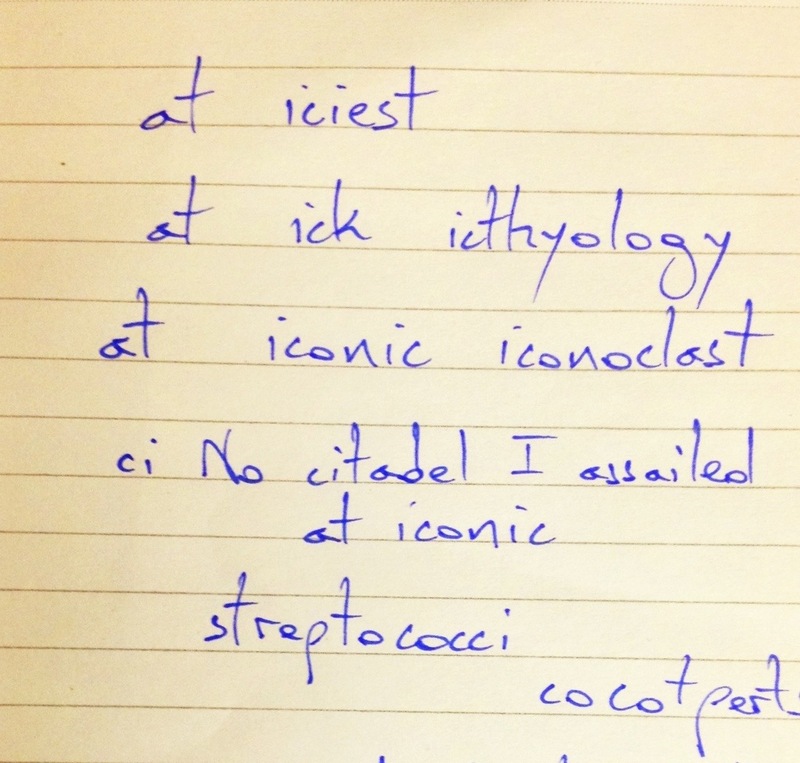 No citadel I assailed at icon. 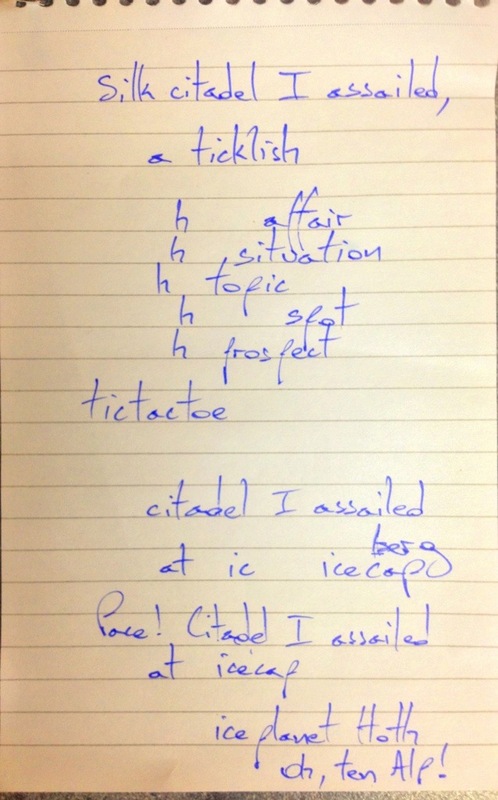 Panic, at citadel I assailed. A tictac. I nap. But now I’m weary, and I find it less than marvellous, so I don’t tweet it.